With the exponential growth of cryptocurrency businesses, investing can be complex. This complexity has no doubt hindered mass adoption and prompted the need for trusted user-friendly tools to attract more traditional investors. Specializing in blockchain and smart contract technology, the Canadian technology company Rublix is building a network that could make - not just cryptocurrency trading - but any trading less complex. They are launching the Rublix platform so that investors across the world can access and share valuable trading information for all markets. The information will be provided to users from traders whose authenticity and credibility have been verified based on reputation and performance. This in turn will provide Rublix users with the credible analysis and strategies they need to have confidence trading. In the long term, the Rublix platform aims to help build and evolve a network of profitable traders by enhancing their skills, confidence and profitability. Currently, most small traders and investors are limited in the number of desktop and mobile investing tools at their disposal. Rublix is developing an integrated, cross-platform suite to make it easier for nontechnical investors to utilize data analytics. 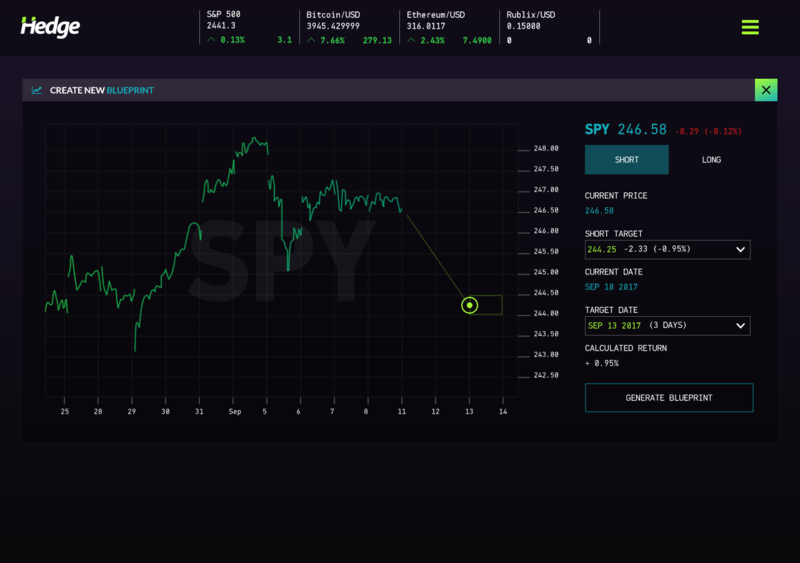 The company believes that these tools will allow smaller investors to “trade the way the pros do,” thereby creating a more level playing field. Currently, Rublix is navigating by an ambitious roadmap that involves the development of three signature products, as well as a foundational proprietary blockchain that will be utilized to manage the whole enterprise. The platform’s end goal is to bring scores of new traders into the crypto space by mitigating as many roadblocks as possible as well as aiding the broader trading world altogether. One of the signature solutions in the Rublix suite is the Hedge platform, which uses cutting-edge technologies to validate trading predictions. A key component of the platform are the trading “blueprints,” which use smart contracts to verify the trading predictions and penalize poor information. This will allow the larger investor community to track and replicate the work of successful traders with proven results. The platform rewards traders who have exhibited a successful track record in delivering valuable trading blueprints. Experienced traders who have a demonstrated history of sound investments will be incentivized by Rublix tokens for their strategies and knowledge. This will allow even the least experienced traders to learn from the successful patterns of top investors. Once the proprietary blockchain is developed, these rewards will be automatically distributed through smart contracts where the trader receives the token upon a successful prediction whereas the token is returned if they are incorrect. The alpha release of the platform is targeted for Q1 of 2018, with a version 1 general release scheduled for later in the year. Rublix also has plans to develop an integrated trading platform called TradersEdge. This API-centric platform will allow for in-depth analysis to investors, including interactive charting mechanisms, enhanced indicators and myriad other features. 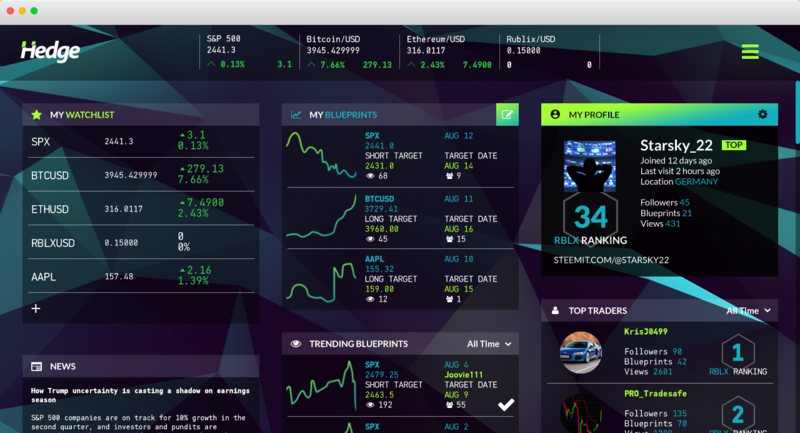 This flagship web application that Rublix is currently developing employs the programming language Java, and will feature a user-friendly, aesthetically pleasing interface to encourage traders and investors to participate in new cryptocurrency markets. Rublix is doing this by using a team of UX and creative designers to research and develop what will be a visually and functionally advanced digital trading space. Finally, Rublix is creating a proprietary wallet called Centurio. Currently in alpha stage, this wallet will be used to store Rublix native cryptocurrency (RBLX). Rublix also has an upcoming token sale event, which will be conducted through the Ethereum blockchain. Eventually, the team plans to transition to their own blockchain, likely through a token swap. The Rublix crowdsale and token distribution will establish interested parties with tokens to be used on the platform.